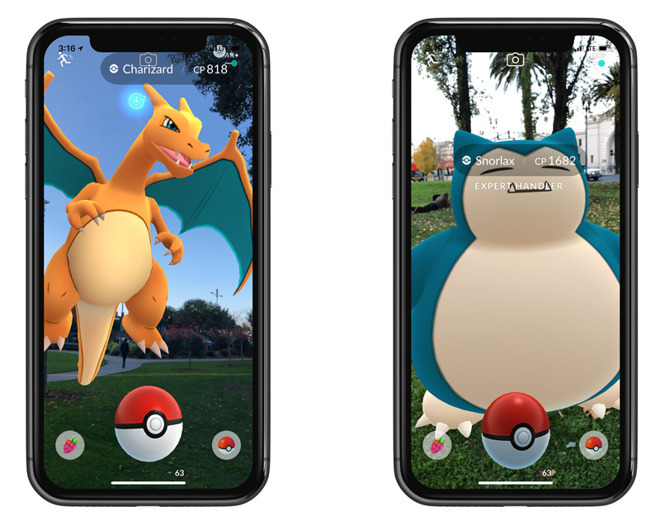 Thanks to ARKit, Pokemon Go's AR mode will firmly situate Pokemon on real-world surfaces with natural lighting, CNET said. To encourage people to use the mode, players will get experience and Stardust rewards if they manage to sneak up slowly on a Pokemon before capturing it. Capture circles will also grow as a person gets closer. Niantic is moreover claiming that the switch to ARKit will consume less battery life. The current AR mode is infamous for draining smartphone batteries, and in fact the updated one will still be taxing, since it draws on all of a smartphone's features at once. Gamers will need at least an iPhone 6s, due to the minimum requirements of ARKit. The technology was announced as coming to Pokemon Go at Apple's Worldwide Developers Conference in June. Niantic is also planning to bring ARKit to Ingress Prime, an update of the AR game that Go is based on. The title should debut sometime in 2018.